This is what happens when your mom doesn't get to see you before heading out to a crocheting competition. I keep wondering what a hipster is. Is THAT a hipster? 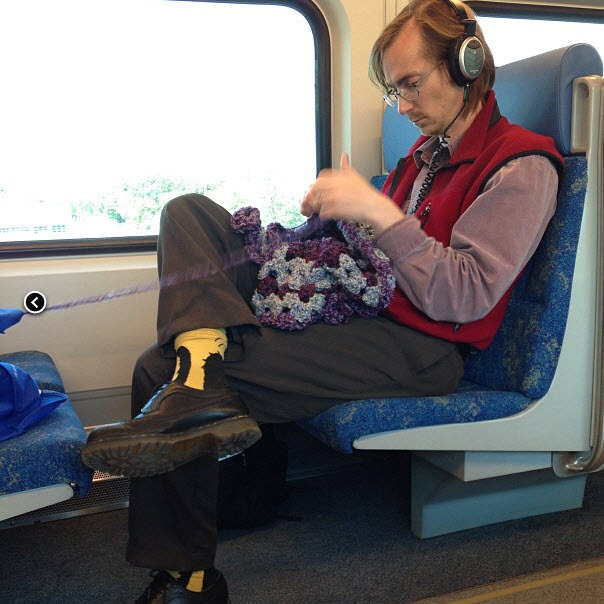 Except for the fact that he is crocheting (cool), he looks like a dork.